This work form the Alice series is titled The White Rabbit. 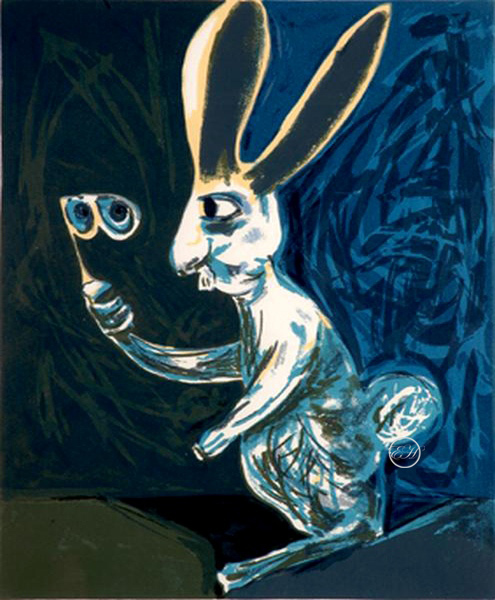 Charles Blackman discovered Alice when he was quite grown up and the impact of his discovery coincided perfectly with his readiness as an artist. It was a magical experience for Charles Blackman, for Alice lives in a world where anything can happen. She brought him freedom that naturally took him close to the essence of the story.